The dreariest, most contemptible, phony, tawdry piece of product ever issued by a great artist, which manages to omit the TV concert’s one fresh and fine performance, ‘I Want You’, but is otherwise an accurate record of the awfulness of the concert itself, in which the performer who had been so numinously ‘unplugged’ in the first place ducked the opportunity to use television to perform, solo, some of the ballad and country-blues material from his most recent studio albums, Good as I Been to You and World Gone Wrong. That could have been magical. Instead—instead of seizing this moment and really stepping into the arena—we got the usual greatest hits, wretchedly performed in a phoney construct of a ‘live’ concert. This is what happens when Bob Dylan capitulates and lets overpaid coke-head executives, lawyers and PRseholes from the Entertainment Industry tell him what to do. Songs in bold were released on “MTV Unplugged”, Columbia 478 374 2 (CD), 11 April 1995 in Europe and 5 May 1995 in US. Songs in bold were also released on video “MTV Unplugged”, 5 May 1995. I was hearing a lot about how Eric Clapton did Layla acoustically for Unplugged. That influenced me to do the same for Like a Rolling Stone, but it would never get played that way normally. One of my favorite albums. Dylan’s raw guitar and voice were classic. is this the same michael gray that slated Time Out Of Mind in isis magazine ? 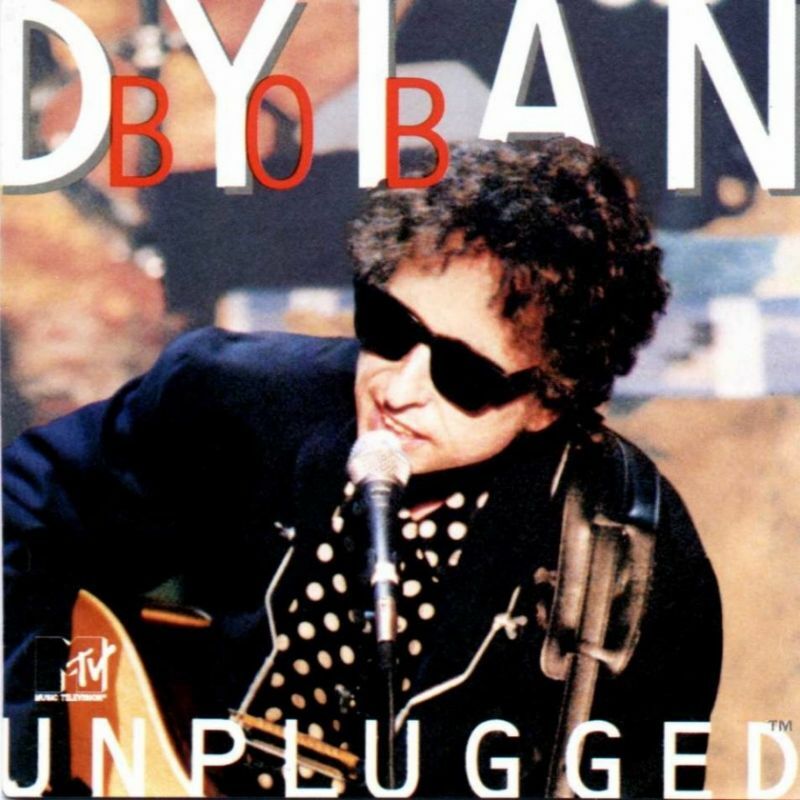 While Mr. Gray overstates the case, the “Unplugged” sessions can’t hold a candle to Dylan’s 1994 tours. Having attended three concerts in April and one in August, I feel that these shows (and the bootlegs I’ve heard from Autumn of ’94) all surpass the “Unplugged” sessions. It seems odd that with so many fine shows to choose from, Dylan released a product that was not representative of his 1994 tours. Where I heartily agree with Gray is that having decided to record an “Unplugged” album, Dylan would have been wise to record “some of the ballad and country-blues material from his most recent studio albums, Good as I Been to You and World Gone Wrong.” These records are not to be missed. 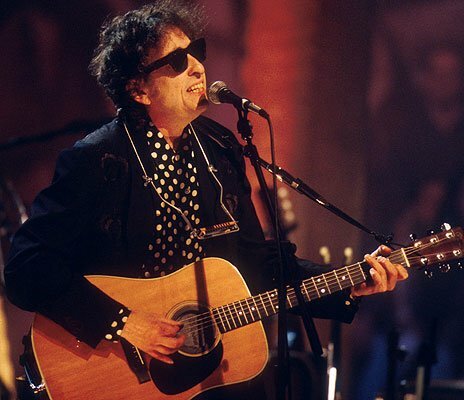 Dylan was playing a cover or two during many of his concerts in the ’88-’94 era, and could have been far more daring than he was with the middle of the road MTV Unplugged. That said, there are some very good performances on it, and it likely attracted some new fans. The sessions themselves are great. Michael Gray is getting a little too excited about how bad – he thinks – they were. The version of Desolation Row got me into Bob. I Want You was sublime, Tonight I’ll Be a Staying… Sweet Marie, Hazel… All fantastic. God On Our Side and Love – 0 also excellent. WOW, this was the same day they taped Nirvana’s Unplugged appearance. Did Bob and Cobain cross paths? Couldn’t agree more, never understood all the hate. Some Dylan fans just can’t be pleased – it’s as though if they’ve gone to the trouble of sourcing every rendition of sub-Appalachian murder ballads sung directly through his nose on worn-out audience recordings, then they’ll reflexively dismiss out of hand that which is consumed and embraced by the greater masses. I could be way off, but I think there’s more than a trace of pompous hipsterism about that. And speaking of it in such ‘train wreck’ terms? C’mawwwn, we all know Train Wreck Live Dylan, because he was commercially/publically exposed at the 91 Grammy’s and on Dylan and the Dead. When he was that atrocious, the audience discomfort was palpabe and it was the sort of stuff you’d feel like an idiot for playing to your friends. The MTV show occupies another orbit entirely. I reckon it’s a hoot. could never understand why unplugged sessions are seen so negatively by many dylan fans . Sure the official release could have done some more interesting selections but with the addition of the organ the band sound great and for most of the show dylan really uses his voice effectively,Some of the performances are excellent (John Brown, Dignity, Love Minus zero)shame that I want you and Tonight Ill be staying…didnt make the official release, but even Like A Rolling Stone in parts had Dylan going for those notes before the chorus which i had not heard him do in years! !.At the end of the day its just my opinion but you have to judge music by the performance itself and not the circumstances that surround it. Agree with you, Trevor. Matter of fact, I can hardly tell of a single performance when Dylan fared badly …… not speaking “blindly”, but fairly. I think when Dylan goes “live”, his performance is always alive to reflect each and every word he has written and the way it needs to be expressed. Cover singers seldom match that “feeling”. In other words, Dylan is always “unplugged”, absolute kosher !